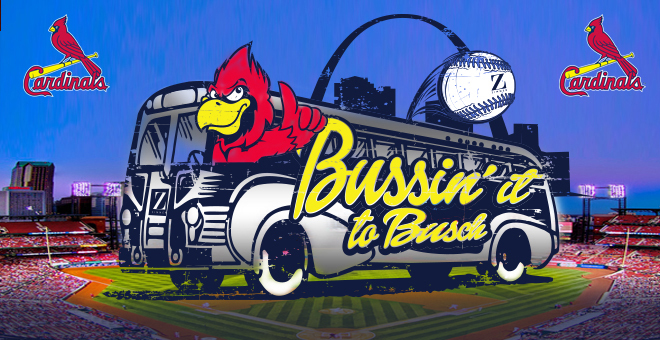 Our annual Bussin' It To Busch event is back on Friday, May 10, 2019 when the Cardinals take on the Pittsburgh Pirates! We've previously given ten specific reasons that businesses should be stepping up to the plate and sponsoring this wildly popular event, but today, we want to hear from some of the experts most closely associated w ith it the event itself: our own radio personalities! Watch Clear 99's Jamie Mac, as well as KCMQ's Shags & Trevor from The Morning Shag, in the quick videos below as they explain what this event is all about and share why they believe that sponsoring Bussin' It To Busch is a marketing home-run for businesses of all industries. 1 of 3: What is Bussin' It To Busch? 2 of 3: Why Is Bussin' It To Busch So Popular? 3 of 3: Why Should Businesses Sponsor Bussin' It To Busch? Ready to elevate your business by associating with Cardinals baseball? Then commit to Bussin' It To Busch with us and be a part of one of our most popular, hyped-up events of the year! Click below to learn more about our exclusive, sponsorship opportunities.